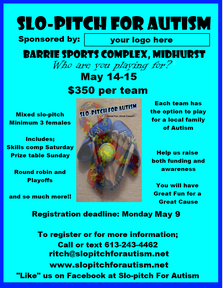 Slo-pitch For Autism is a series of slo-pitch softball tournaments that take place across Ontario supporting families of Autism. In 2016 there were 20 tournaments from London-North Bay- Cornwall with many stops in between. 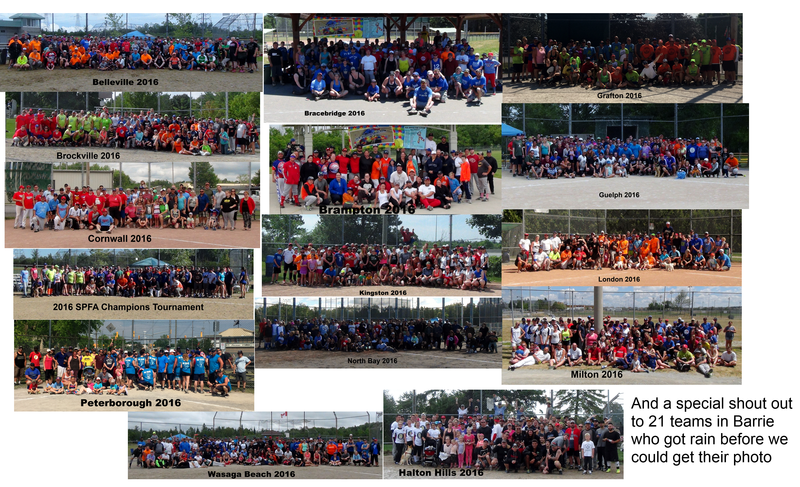 2017 will see approximately 50 tournaments across Ontario and into the Manitoba and Alberta. 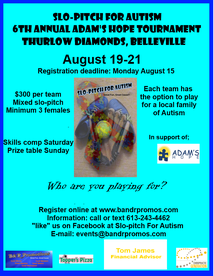 At each tournament teams have the opportunity to represent a family of Autism and gain a $500 payout to the family. Existing tournament locations include; Ajax, Amherstview, Barrie, Belleville, Bracebridge, Brampton, Brantford, Brockville, Cambridge, Cobourg, Cornwall, Etobicoke, Grafton, Guelph, Halton Hills, Kingston, Kitchener, Lindsay, London, McNab, Milton, Newmarket, North Bay, Orangeville, Orillia, Oro-Medonte, Peterborough, Wasaga Beach. We are also looking to add many new locations including; Alliston, Bradford, Brantford, Cambridge, Fort Erie, Grimsby, Hamilton, Midland, Newmarket, Orangeville, Orillia, Oshawa, Ottawa, Smiths Falls, St. Catherines, Tiny, Sudbury, Tottenham and Wasaga Beach. We will also be doing introductory tournaments in Edmonton, Al. and Moose Jaw, Man. There are two strong demographics that we focus on that can help grow your business. First and foremost slo-pitch softball. We will see about 12,000 participants in 2017. These participants range in age from 18-60 and are about 65% male. The majority will fall in the 25-40 age range. Secondly, through these teams we reach many Autistic families. We expect about 250 families to be represented. Our participants spend a large amount of money on sporting goods as well as food and merchandising and travel. The Autistic families expenses are often medical, technology and respite. Prior to events our primary source of contact is through social media. 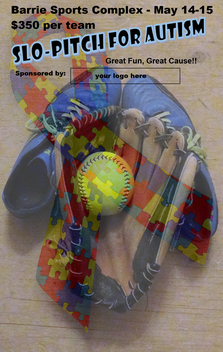 Our Facebook page, Slo-pitch For Autism was just launched in March 2016. It has 1950 users as of June/2017. These users are very active with engagements over just over 1000 per day and a total reach of approximately 800,000 from mid-May through mid-November . Our current Facebook users are 54% female. 40% of users are between 25-34 and another 34% are between 35-44. The following photo will give you an idea of the size of tournaments. They range from 100-300 participants per tournament. We also see another 50-75 spectators per tournament. We have constant interaction with those at our tournaments, both participants and spectators. We have recently added this website. From this site we will be able to reach more people with information about our tournaments, products and sponsors. People will be driven to this site through social media to access the store, to register teams and participate in polls. · Full title sponsorship may be available for the right fit. This could include everything listed below as well as your logo at the top of all event flyers and Facebook ads (average reach 100,000 per month). Examples can be found below. · You can attend our events during the public address portion and address the attendees. You would have about 2 minutes to address all those in attendance on a subject of your choice. During this address we focus about half of our time on educating on Autism and having speakers about Autism and the other half is for prize draws and awards. During this time all sponsors are acknowledged. The total public address lasts about 45 minutes. · Set-up of tent(s) to promote and sell your product or service at our events. We have our own registration tent at all events. Merchandising and administration is handled here. This is also where we gather all in attendance for our public address. 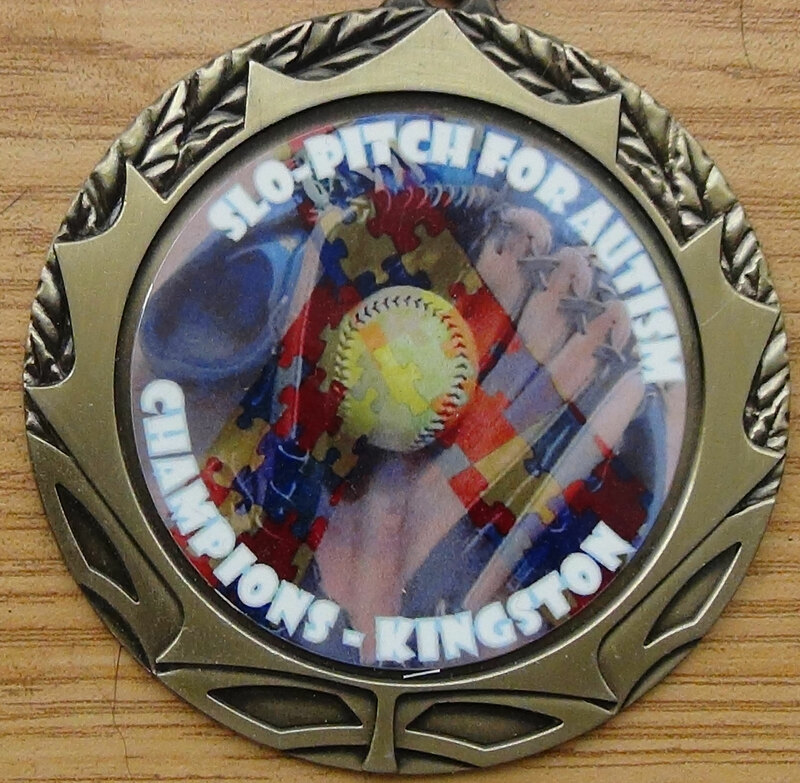 · Promotion of your product or service on both our Facebook page (Slo-pitch for Autism) and our website (slopitchforautism.net). We can not only display your product or service but offer links to your online store, show your contact information or even offer discounts to those going from our site to yours. · Links to your website or any page(s) of your choosing from our website. · Promotional offers to our audience of your product or service. At our events, if you do not set up, we can offer promotion or sale of your product or service at our on site location. · Your logo or banner displayed at our events as well as on our website and Facebook page. The size and location of the banner will vary depending on our agreement. · We can promote a video of your choosing (or possibly even create one) for promotional purposes on our pages. If you have a promotional video already we can post that or if you do not we can come in and record a personal message from you for use on our pages as well as yours. · Verbal mention at our events as well as promotion. We address the attendees regularly during our events including a 45 minute public address where all attendees are gathered at our onsite location. · We can display promotional materials at our events. We have a lot of traffic at our onsite location where we can display promotional material including flyers, coupons, magazines, etc. · Your logo can be added to videos from our events. At every event we shoot video. The finished product is displayed on our website and Facebook page. Your logo would be added at the end of the video. When negotiating your package you may choose from the list above or make your own suggestions. We believe that your success is our success so please let us know how we can help you most. The term of your agreement will be mutually agreed upon as well. Our standard agreement is for one year from the time an agreement is put in place. Please keep in mind that the more we do for you, the greater the value of the sponsorship. We are looking for full sponsors that get the entire package over an entire year right through to those that would like to be involved in one city for a minimal fee. Fees range from $250-$15,000 per year. Ask us if you might be able to work out an “in kind” sponsorship. This may give you more bang for buck. We’ve listed a number of products or services below the chart that we could use for “in kind” sponsorship. If you don’t see you product or service please feel free to ask. We want to work WITH you to make this partnership beneficial for both of us. If you feel that we’ve missed something, by all means, let us know. Customizing your package works because you know your business best and know what will work best for you. · Prepackaged food such as Gatorade, Pop, Chips, etc. · Most products or services can be of use. We give door prizes and raffle prizes. We have food and travel expense. We sell merchandise and food at our events. 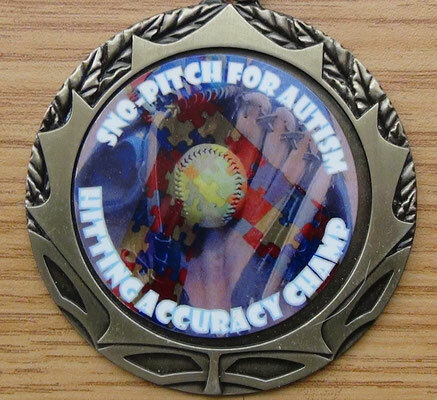 Medallions given for championship teams and skills comps. These are 2” medallions. Your logo would go on the back. All skills comps medallions are gold. Championship medallions are gold, silver or bronze depending on the division of the championship team. Event flyer showing sponsorship logo placement. We would love to hear from you. Please let us know what you like or do not like about our proposal and if there is anything that you think we have missed. This proposal is a start, but with your input we are hoping that we can reach a deal that is mutually beneficial. Strong business relations are key to us, just as we are sure that they are to you. Thank you for your time. We look forward to establishing a promising working relationship.